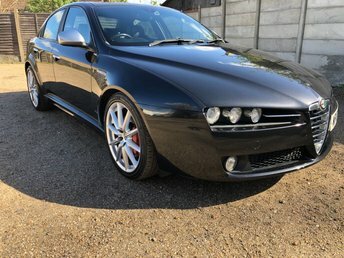 Offering attractive styling, plenty of space and a well-equipped interior, the Alfa Romeo 159 is a great choice for those wanting a distinctive saloon with attitude. Start the search for your next vehicle right here at Sutton Motors, where you'll find a superb selection of quality pre-owned vehicles. Our used Alfa Romeo 159 models are put through a thorough inspection process before going on sale to ensure complete peace of mind. Browse the latest stock here on the website and be sure to get in touch with a member of the showroom team with any questions and to arrange a test drive.